What are the National Amateur Championships? 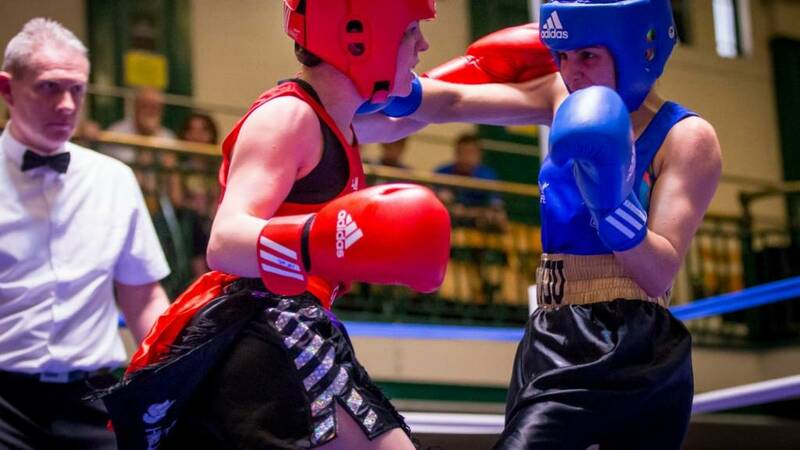 The England Boxing National Amateur Championships have been held since 1880 and see the finest boxers from outside the paid ranks facing off for the most prestigious title in English amateur boxing. This year, the finals take place at Manchester Central on Saturday 13 April. There are championships up for grabs across nine women’s weight classes and eleven in the men’s division. The BBC will have live coverage on BBC Sport online and Connected TV from the finals in Manchester – and all of the action will be available to view again via the BBC iPlayer. Coverage times are subject to change. The BBC is not responsible for any changes that may occur. With the likes of heavyweight world champion Anthony Joshua filling out stadiums, boxing is as popular as ever. There are hundreds of gyms all over the United Kingdom. Club finders in England, Wales, Scotland and Ireland will help you get started. The aim is to strike your opponent with punches to above the waist line over the course of an allocated number of three-minute rounds. A judge(s) or referee will determine who has been the better boxer, i.e. who scored the most punches/points, and award him or her the winner. Another way of winning is to knock your opponent down for a count of at least 10 seconds. GB Boxing has some great resources so that you can see what boxing is all about, and have a better idea of the rules and regulations. There are different weight categories which means boxing is for everyone. You don't need to get hurt to enjoy boxing. But most people use the sport as a way of fitness rather than getting in the ring and or competing. Skipping, hitting the punch bag or pads and different exercise drills are used in training and beginners can take it at their own pace.